Pretty peacock pencils are resplendent, with a dazzling array of vivid colors to brighten your mood every time you use them. No. 2 lead glides over paper and is easy to sharpen. 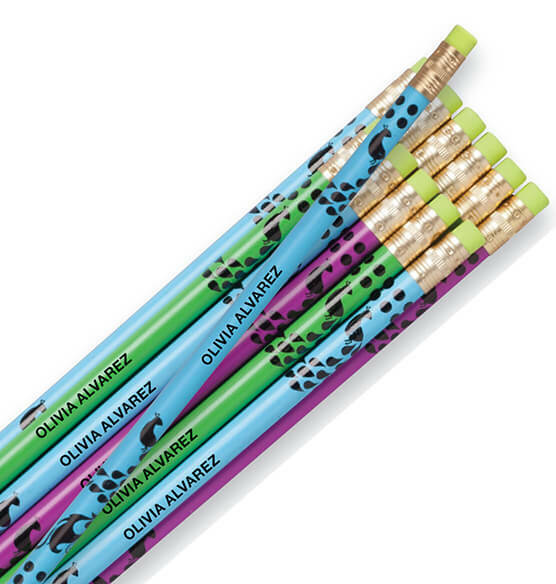 These personalized pencils are perfect for writing and drawing at home or school. Set of 12 custom pencils includes assorted colors with colored erasers. Personalize 1 name per set. Specify 1 line, up to 30 letters/spaces.